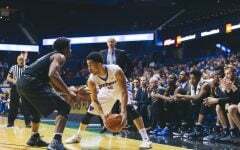 MILWAUKEE — In the simplest terms, the Blue Demons are good at basketball – and that may be an understatement. 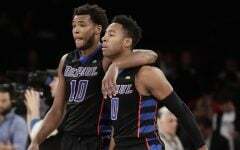 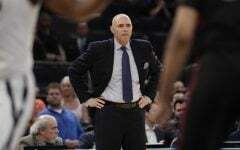 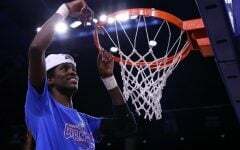 Five individual players scored in double figures for DePaul in Sunday night’s 92-60 dismembering of Seton Hall, advancing Doug Bruno’s historic program to their fourth consecutive Big East Tournament semi-final appearance. 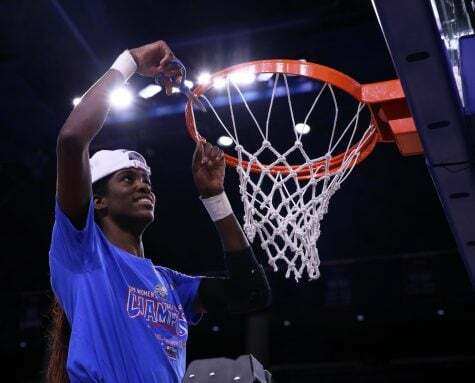 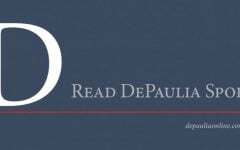 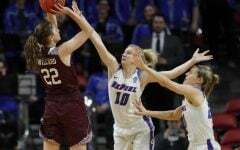 DePaul set the tone early – 15 seconds after tip-off early – with a signature turnaround jump shot from Big East Player-of-the-Year Brooke Schulte, on their way to six unanswered points. 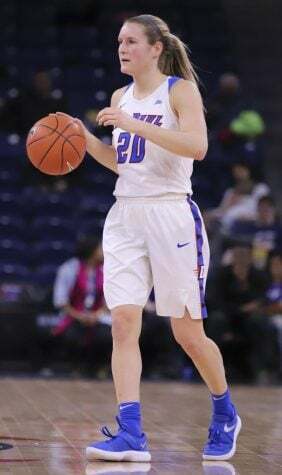 Schulte was spectacular in the first half, shooting 60 percent from the floor for 16 points, adding six rebounds and a three-point buzzer-beater to push the Blue Demon’s past 50 points at the half. 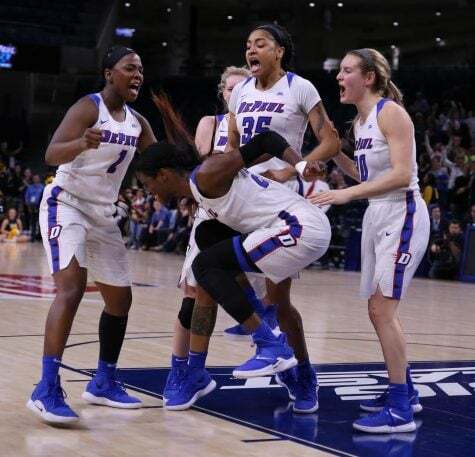 However, sitting on a comfortable 24-point lead, the senior’s night ended after only 20 minutes, ceding the second half to DePaul’s bench. 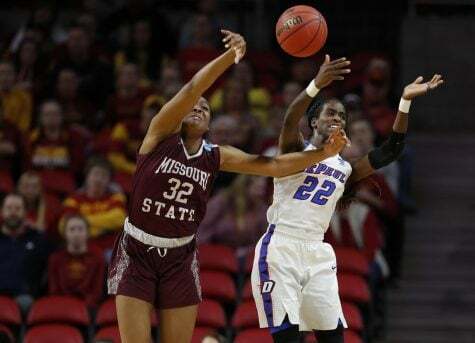 Jessica January had a season-low two points, both of which came in the first half at the foul-line. 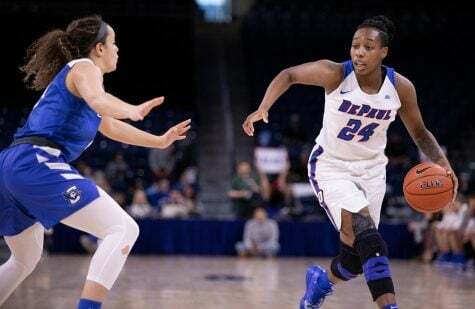 Instead, the senior point-guard racked up nine assists – two more than Seton Hall’s team total – for the largest contribution to 25 team assists, the most by any DePaul team in Big East tournament play. 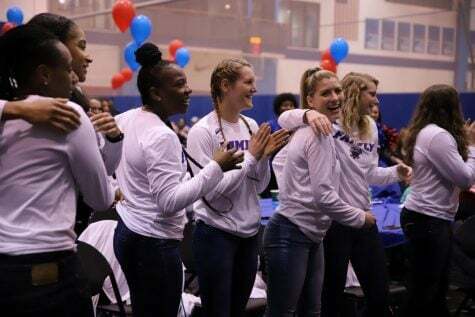 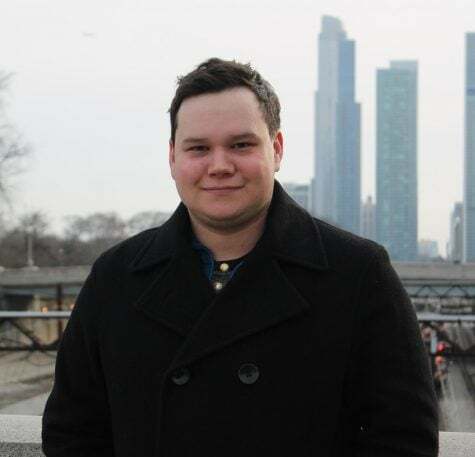 Sunday’s quarterfinal marks January’s third game back from a finger injury sustained during DePaul’s conference opener against Georgetown in December. 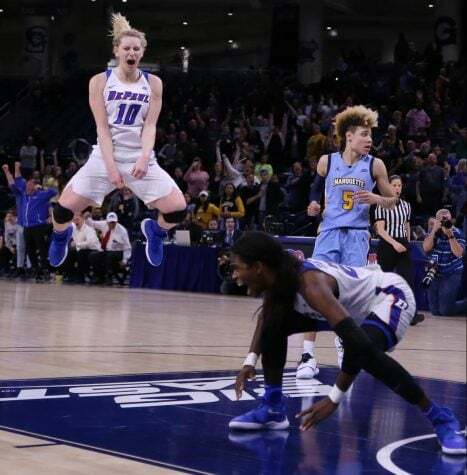 After her second foul in the beginning of the second quarter, Jacqui Grant rode the bench through the half, then got things rolling again after the break, gathering nine of her 13 points in the third quarter. 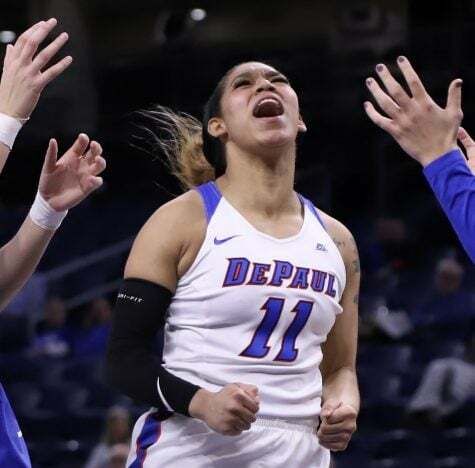 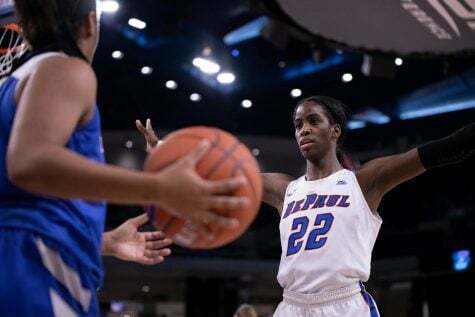 Freshman Chante Stonewall was DePaul’s top scorer, coming off the bench to launch 16 shots at a 50 percent clip for a career-high 20 points, including a 2-for-3 showing at the foul line. Big East “Sixth Woman of the Year” Tanita Allen, and sophomore Amarah Coleman also had double figures with 11 and 10 points respectively. 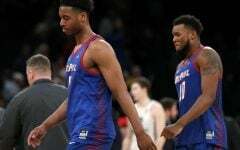 With a 56-40 win over Villanova tonight, St. John’s will square off with DePaul in the semi-final rematch against tomorrow at 5:30 pm CT. The Red Storm spoiled the Blue Demon’s run at a third consecutive Big East Tournament title last year.